Since its start in 2009, Katy Tennis Academy has earned the reputation as a premier tennis academy in Katy by teaching kids the fundamentals of tennis and making it fun, as well. We offer a wide range of services designed to fit all ages and ability levels. Classes and private lessons are conducted from morning to evening to fit any schedule. 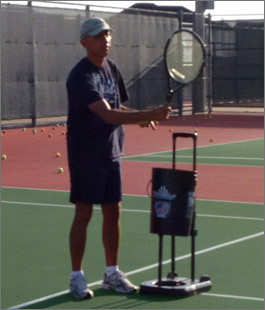 Coach Andres has been playing tennis at a high level for more than 30 years. 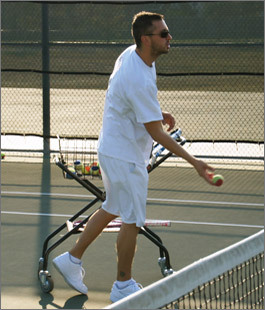 He has participated in Open Tournaments in Bogota, Colombia, winning several Open Tournaments at the club level. He attained a bachelor's degree in Architecture from the Javeriana University in Bogota. 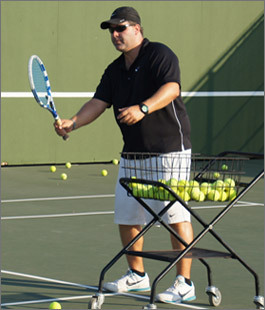 He joined the PapaCarlos staff in 2006 and after 3 years, he decided to open up a branch in Katy, Texas which would be eventually be called Katy Tennis Academy. He is currently the Director and Head Coach of Katy Tennis Academy. Coach Mario was an avid player in his day in high school, reaching the Junior Varsity, then the Varsity level where he attained success.He then went on to play tournaments in the Bogota circuit, reaching the semifinals several times. He has taught soccer, basketball, and yoga as well as tennis and is a very well rounded individual. He did Hotel Management University studies at the Externado University in Bogota, Colombia as well as Psychology at the Leslie University in Boston, MA. Juan Valverde started playing tennis at 14 and has been enjoying it ever since. He played and taught tennis in high school and college, winning some championship tournaments in Quito, Ecuador in the process. After getting a BA in Economics from Central University and an MS in Finance in the Cooperative University of Colombia in Ecuador, he started teaching kids and adults at Pablo Campana Academy. In October 2011, he began teaching at Katy Tennis Academy (PapaCarlos Tennis Academy). Coach Sebastian is a USTA Championship level player in 16's and now 18's. He's the Varsity captain in high school, the 2011-2012 boys A doubles JV district champion, and also went undefeated in the 2011-2012 high school season with 25 wins 0 losses. 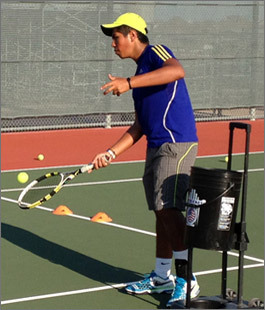 He's currently ranked in the top 100 at the USTA Championship level in the state of Texas, and started playing tennis at the Katy Tennis Academy (PapaCarlos Tennis Academy) since it was established in 2009.